We are passionate about properly repairing sprinkler and irrigation systems in Alabama. One of the most common issues that people face with their sprinkler system is damaged or malfunctioning sprinkler heads. There are a few issues that come up on a regular basis that requires sprinkler head repair. If you notice any of these problems, you can us and get the issue fixed right away and make sure that your sprinkler heads do not waste any more of your water. This is the most common issue that people find with an underground sprinkler system. The cuttings from mowing the lawn and any debris from a rainstorm can clog a sprinkler head. 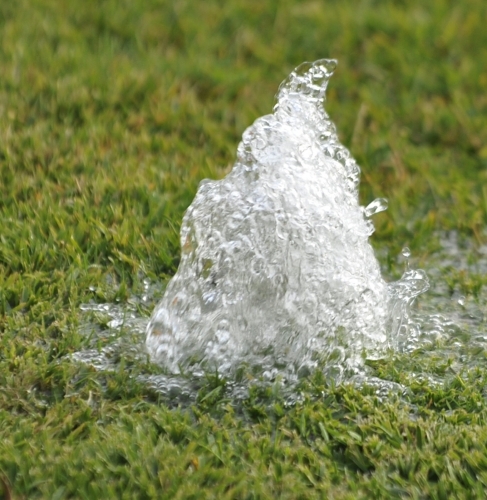 You will notice that clogged sprinkler heads have interrupted spraying, or not spray at all. At other times, it may simply leak water that pools up around the head of the sprinkler. If this happens, call us right away for a simple sprinkler head repair to get your system back on track. Even with properly installed and functioning retractable sprinkler heads, there can be problems with mower blades or edging tools causing significant damage. For this, our sprinkler head repair team can come and quickly replace the sprinkler head to get it functioning with the rest of your sprinkler system. There are times when a sprinkler head is installed improperly and sits too high which leaves it more vulnerable to damage and clogging. If your sprinkler heads are sitting too high, give us a call and let our sprinkler head repair team fix the issue and set it at a proper height. Call (251) 716-0130 us or get a free estimate through our website contact page for all your sprinkler repair needs and questions. We provide the best irrigation repair services for Residents In And Around Fairhope, Point Clear, Daphne, Spanish Fort, Silverhill, Foley, Robertsdale, Gulf Shores, Mobile Alabama and surrounding areas at the most competitive prices in town. When you need a sprinkler system fixed call on us to get the job done right. No job too big or too small.